Dr. Bachelet shares her perspectives on how she’s seen the field of science change, what it’s been like, over time, to be a woman in science, and why she’s participating in the April 22 March for Science on Earth Day. In 1978, while doing my master's in northern France, I was offered the job of "manning" the first electron microscope at the University in Lille. It was fascinating to see those giant machines and the amazing photos produced. I was intrigued by immunology but more interested in using computers to run models than in being a technician. Three years later, I walked to the computer center at Colorado State University, with my deck of computer cards, hoping I had not mistyped a number and hoping the "green machine" (CSU) would spit out my batch job before midnight so I could start analyzing my results and tune my model. I remember the elation of sitting in front of the first screen/keyboard contraption, that looked like a glorified oscilloscope, and editing my first "on-line" program while watching my data graphed with lines made of letters. There are also less fun memories of being a woman scientist in a world of men who assumed every woman was either a stay-at-home wife or a secretary. Times have changed, and I have had the privilege of crossing paths with women who became world renowned scientists and heads of US government agencies; women who fought hard to be recognized first as scientists and who had to if not totally break the glass ceiling at least give it a good crack. It has not been easy. And those battles still need to be fought for the next generations to be able to realize their dreams. 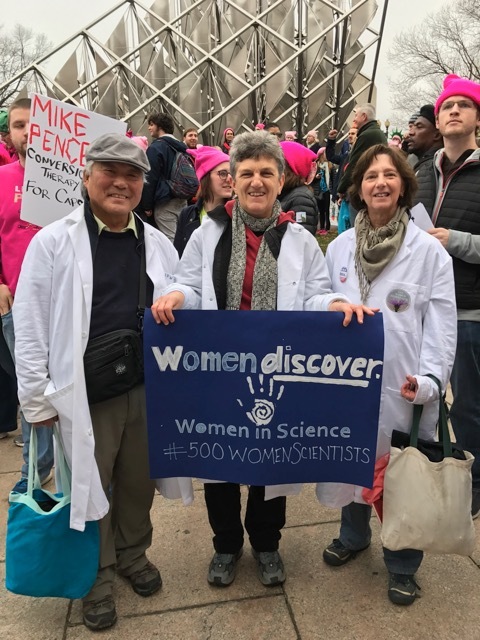 That is why I marched in Washington DC last January: for women scientists of yesterday and for women scientists of tomorrow. This week, I will march for Science. I am not sure what I will find along the March for Science route on Saturday nor what will happen to my friends in DC, but I anticipate there will be protests against the marchers. In the last decades, intellectuals have been vilified, and it is partly our fault for staying in ivory towers. A couple of weeks ago, the House Science Committee held a three-hour hearing on the merits of climate change science exploring the amazing-to-me question of whether entire fields of research such as climate science could become corrupted, thus necessitating congressional attention. When the Pew Center surveyed the US population, only a small fraction could name a living scientist and only 11% followed climate change news closely. The gap between scientists or science-driven people and the rest of the population is large and we, old scientists, can take part of the blame for doing a poor job at sharing our results and our enthusiasm for the scientific process. In my life, science has been the main driver. I have always been curious, and science has given me a chance to ask questions, to project the future, to witness and document change. As a scientist, the incessant emission of greenhouse gases that are transforming our atmosphere while our own population explosion mimics that of a viral outbreak is a fascinating experience to study. I used to make fun of my advisor for reading Science magazine at home and am now riveted to the weekly articles of adaptations by plants and animals to new conditions while dire forecasts saw them disappear yesterday; of natural events lashing out at our hastily built infrastructure and creating havoc in our societies; of the ridiculous behavior of certain heads of states ignoring the power of nature; of the resilience of the planet; of the limited period of existence of each species (including ours) on the geological scale. Scientific curiosity and discovery is what keeps me hopeful. It is what keeps scientists like me eager to see more and search for a better understanding of what drives our universe. And as the slogan says so well: the good thing about science is that it is true whether or not you believe in it. 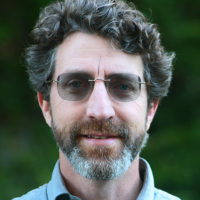 Dominique is a Senior Climate Change Scientist at CBI. She works extensively with a variety of climate scenarios to explore climate change impacts.